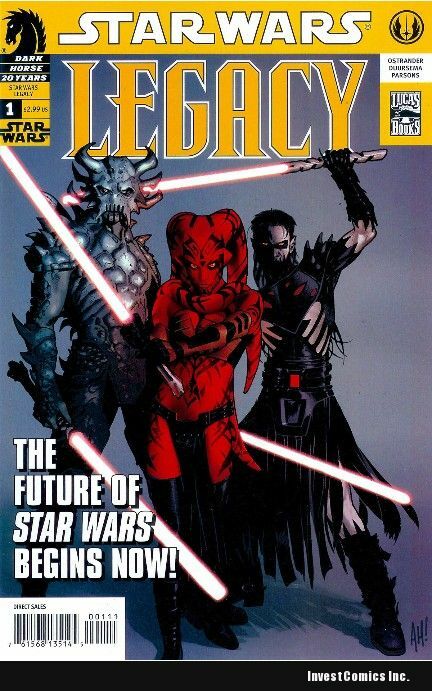 John Ostrander is part of the reason I now find myself looking forward to Star Wars. If you’ve read Star Wars: Legacy you understand perfectly. 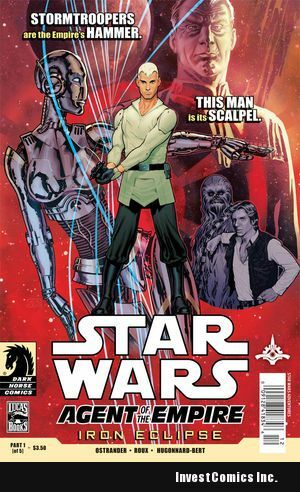 Ostrander has contributed to expanding the world of Star Wars that others may not have considered. As a result, readers have been pretty happy. I’m here to shamelessly hype and even pander. Let’s get this bucket in the well! Let’s start out with little Johnny. Who did you read when you were growing up and what was the moment you knew you wanted to write comics? Little Johnny’s first exposure to comics was in Catholic grade school and the comic was called “Treasure Chest”. 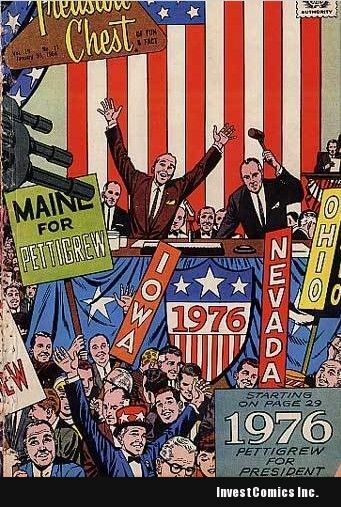 Each issue had several features and I remember especially Chuck White and something called ‘1976: Pettigrew for President” which was set in the then far off future of the Bicentenniel year. They left a big impression on me as did the nuns with their rulers. I read my DCs when I was younger but always had to steal a chance to read them as my mother had read Wertham’s “Seduction of the Innocent” and believed it. The only comics I was (officially) allowed to read was Dell or Gold Key or Classics Illustrated (which provided the veneer of my being well read). However, I did get two giant sized Harvey books of Will Eisner’s THE SPIRIT and that seriously warped me. Oh and Gold Key did some specials of ROCKY AND HIS FRIENDS which should be reprinted ASAP. 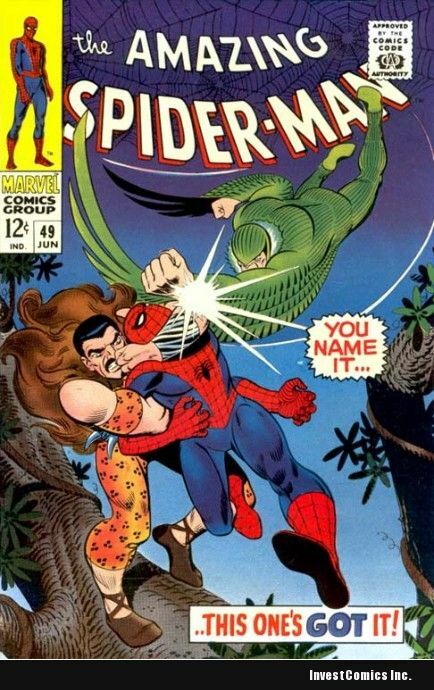 My first Marvel was SPIDER-MAN 49 and I was hooked on all things Marvel (well, except maybe Millie the Model). I knew for sure that I wanted to write comic books professionally when Mike Gold (an old friend and then founder of First Comics) offered to pay me money to do so. Big motivator – money. You started writing for comics back when the indies were still called Underground. Not ashamed to admit that GrimJack was/is one of my favorites. So thank you for that. You’re quite welcome. Not ashamed to admit I was delighted to warp sensitive young minds such as your own with that series. By the way, Underground comics were definitely different than indies. Underground were characters and comics such as Snappy Sammy Smoot, Fritz the Cat, and the Fabulous Furry Freak Brothers. Not exactly the same as the Rocketeer, Sable, American Flagg or GrimJack all of whom were indies. 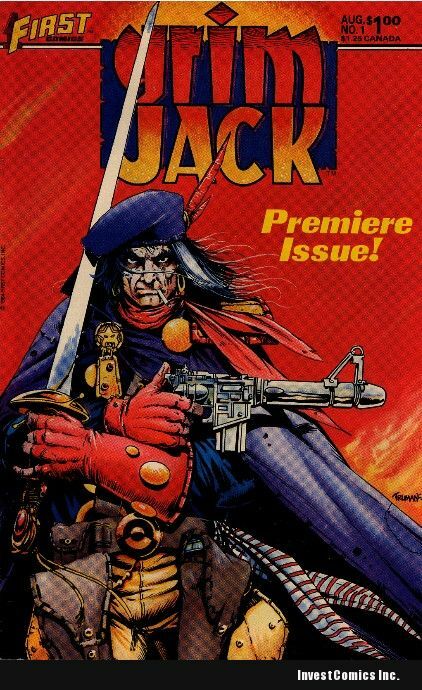 If you were casting for a live action movie adaptation of GrimJack who would you cast? I know you’ve thought about it! I have thought way too much about it for way too long. I’ve considered who to cast from A listers to B movies to TV series. My main goal out of a GJ movie would be someone who would sell a lot of tickets and spawn at least two sequels with the attendant commercial tie-ins and make me LOTS of money. Okay, more seriously – actually, I was serious but anyway – I think Viggo Mortensen would do a great Gaunt and so would Daniel Day Lewis. Back when GJ first started, Tim Truman and I liked Jack Palance. Hugh Jackman could do it although he may be too good looking. On the small screen, Edward James Olmos would do well. I’ve also always liked Wes Studi as a possible Gaunt. Yeah, the only way Hollywood execs would green-light the project with that above short-list would have to be getting Jackman in the beret. But I think Lewis could still knock it out of the park. Anyway! So much has changed since you first started. Your career has seen a lot of success with those changes. Both mainstream and indie. Can you tell us what it’s been like for you, adapting over the years? Work is work really. The rules change a little from publisher to publisher but actually, most days, I have less problems with continuity on STAR WARS than I would, say, on X-MEN or BATMAN. The biggest change is and will be comics going digital. That will be a game changer with creators potentially able to get their creations out to the public without necessarily going through existing publishers. Think back to the young writer you once were. Ever imagined it could have been the way it is now, enjoying the kind of success you are now? I mean, we all know you own a house in every country on the planet. And every planet in the solar system. Seriously, success waxes and wanes. I’m mostly interested in telling a good story. I like to think that, in that respect, I am a success. For me, being a success is continuing to make a living off what I love to do – tell stories. Modern tech is having an effect on comics, no doubt. When you approach a new story are their special considerations toward the artist in scripting? I don’t always know who the artist will be for a given story but I prefer it when I do. It may take a few issues but I try to learn what the artist does well and maybe not so well and what he or she really likes doing and slant the story towards that as best I can. But ultimately, it really is all about the story. You do what’s right for that. I think it’s safe to say you’re a Star Wars geek. You’ve got like, what? 15 series titles to your credits? Something like that? You’ve made a serious contribution to how readers think of Star Wars now. I’ve deforested small sections of the planet with my output, yes. Editors and publishers like to spin titles their way. But I want to know how you pitched this new series to Dark Horse. What’s “Agent” about for you? 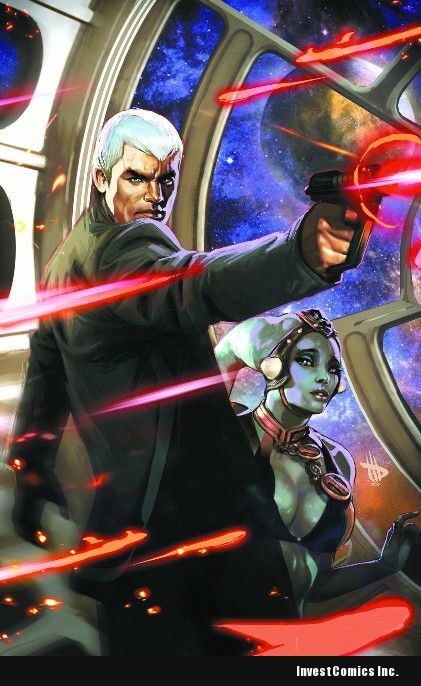 I really DID pitch it as “James Bond meets Star Wars” but it’s more than that. This book is a chance to see familiar faces and settings from a different perspective. If the Empire is evil, can you be a good person and still work for it? IS Jahan Cross a good person? Certainly, he thinks so but who thinks of themselves as evil? The readers will have to make up their own minds. When you were scripting this did you have a specific artist in mind? No. My esteemed editor, Randy Stradley, found our artist. I think the art looks great. Okay, so big question here: you a James Bond fan? Because I’m pretty sure I picked up on a little scene very reminiscent of classic Bond. A fan but not of every movie nor of every Bond. I have my faves and my. . .lesser faves. Top ones? From Russia With Love, Casino Royale, Goldfinger and in that order. My two favorite Bonds? Sean Connery and Daniel Craig. It’s curious to me that you can skip around throughout the time-line in the Star Wars universe. You spent a lot of time defining the future of that universe but what’s your personal favorite time and setting to write in? Honestly? It’s whatever era I’m currently working in. Right now it’s 3 years before A NEW HOPE (the setting for AGENT OF THE EMPIRE) and 24,000+ years BBY which is the setting for DAWN OF THE JEDI that Jan Duursema and I are doing and will be out in February 2012 hype hype hype. It’s my honor to inform you that the geeks have chosen you as their new Star Wars god. That’s right. Lucas is out, you’re in. But in all seriousness, you write a LOT of Star Wars. You’ve written for other franchises, but is there a franchise you haven’t gotten your hands on yet that you would absolutely love to – and what would you do with it? I really want to know what happens NEXT in Joss Whedon’s FIREFLY/SERENITY series. It has overtones of the Civil War here in America and what happened in the West afterwards. I’m a big fan of that in general and the Whedon series in particular. I’m not sure where I would take it but the nice thing about comics is that the Special Effects budget is unlimited, I’d also love to do a BLACK ADDER comic, keep the comedic tone and take it into the world of superheroes and villains. Man, we have seriously got to make that happen! 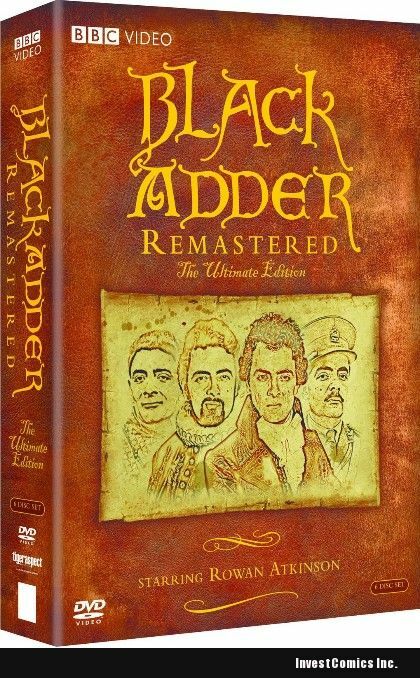 Both Firefly and Black Adder. Not sure how popular the latter franchise is here in the states but it would be so worth it. But on a more serious note: when the aliens take over and appoint you their liaison and make you personally responsible for acquiring human flesh to satiate their furious appetites who will be the first to be sacrificed? Grover Norquist. The jerks who did the mortgage derivatives and tanked our economy. Sports coaches who mess around with children. Actually, anyone who messes around with kids. Most of the talking heads and pundits in the media except Jon Stewart and Stephen Colbert and sometimes Bill Mahr. And Rachel Maddow and Keith Olberman. Yes, I’m a flaming liberal. And proud of it. I’m going to wear the new GJ beret that fan Margie Helmuth made for me and that looks KILLER on me. I’d love to do more STORIES when Tim Truman has the time (he’s been working on his new HAWKEN series with his son, Ben Truman, and I am so JEALOUS). Maybe I should try to write a GrimJack novel. John, thanks so much. Best of luck with everything! We now return you to your regularly scheduled mind already in progress. Star Wars: Agent of the Empire is on sale THIS Wednesday from our friends at Dark Horse. Buy it. Own it. Love it!